The best placed Manor driver in the GP3 championship will once again be rewarded with an F1 test for Virgin Racing this season. Manor is headed by John Booth’s Manor Motorsport, sister outfit to the Manor Grand Prix team which runs Virgin’s F1 operation, and races in their distinctive red and black livery. The British-based squad had a solid run to fourth in the teams’ championship in 2010. Last season saw Indonesian driver Rio Harytano finish as the team’s top performer, scoring a sprint race win in Turkey on his way to an impressive fifth in the standings. The 18-year-old got his run in the Virgin car at the post-season young driver test in Abu Dhabi last November. Manor have also confirmed their driver line-up for the upcoming season, with Haryanto and 2010 team-mate Adrian Quaife-Hobbs remaing in place alongside series debutant Mattias Laine. 2010 saw Briton Quaife-Hobbs take a maiden podium at Spa to end the campaign 15th overall. 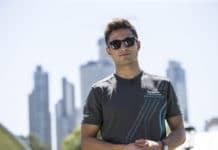 He has tried out Formula Renault 3.5 machinery over the winter with great success, topping the times at the majority of the series’ post-season tests, but has elected to build on his GP3 experience with Manor in 2011. Finnish-born Laine meanwhile joins following a season in the F3 Euro Series. The 20-year-old ended the year 14th overall. GP3 enters its second season in 2011, running at all European F1 events with the exception of Monaco. Last year’s champion, Esteban Gutierrez, has stepped up to GP2 this season as well as landing the role of third driver at Sauber.